Giving back to the community we live and work in is something we love to do and we can think of no better cause to support than one that improves the lives of our furry friends. 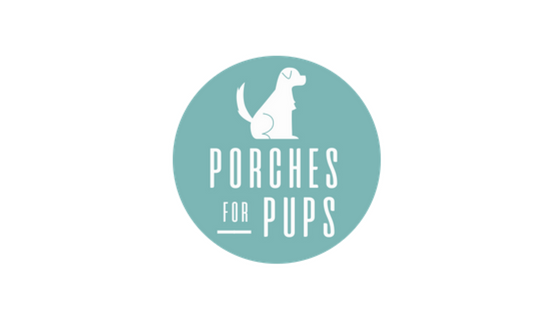 We are so excited to tell you about Porches for Pups! We plan to use our resources and voice in the community to improve the lives of our four-legged friends. 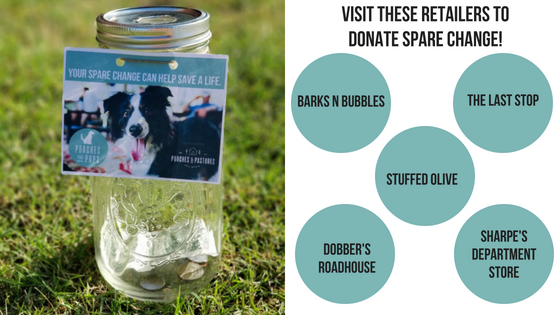 The next time you're shopping at Sharpe's Department Store or getting gas at The Last Stop, you can support Porches for Pups by dropping your spare change into the coin jars. When you drop your change in the jar, you are supporting these wonderful, local organizations. Pittsburg County Animal Shelter is an independent organization ran by a group of passionate volunteers whose goal is to increase animal adoption at this high-intake county animal shelter located in McAlester, OK.
Chasing Miracles Animal Rescue is a foster based rescue organization in Southeastern Oklahoma, funded 100% by independent donations. They focus on saving animals from local high kill shelters and rescuing dogs from the streets in Haskell County, OK.
Hope Haven- the mission of Hope Haven is to educate the public on spaying/neutering, abuse, neglect, and proper treatment of companion animals, provide homes and proper care for dogs in desperate need, reduce the amount of euthanized and stray dogs, educate the public on myths about aggressive breeds. If you have questions or you are interested in partnering with Porches for Pups, please contact us.